We decided to go to Biarritz, France for a couple of days to hang out in this beautiful beach town before heading to our friends nearby wedding. 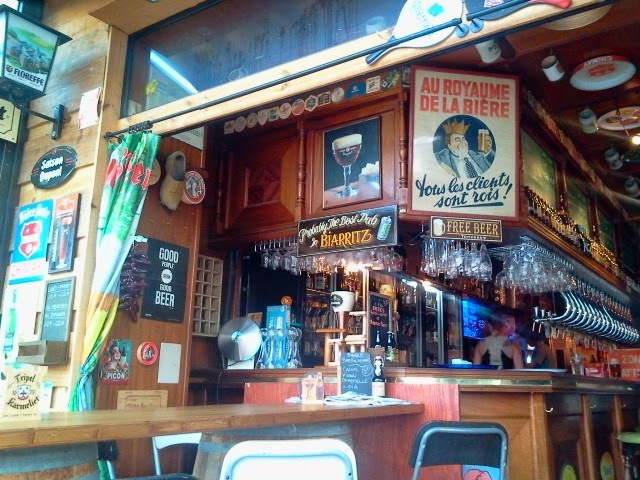 I wasn't expecting much in the way of interesting beer or beer bars on my trip, but was pleasantly surprised when I found La Tireuse online boasting 20 taps and 60 bottles of beer. I figured I might enjoy a couple of Belgian draft beers more than a cocktail with an umbrella or glass of wine, so it was a good fit for an evening once the sun started to go down. When we arrived at the bar it was fairly empty and the television loudly blared some World Cup pregame musing in French. 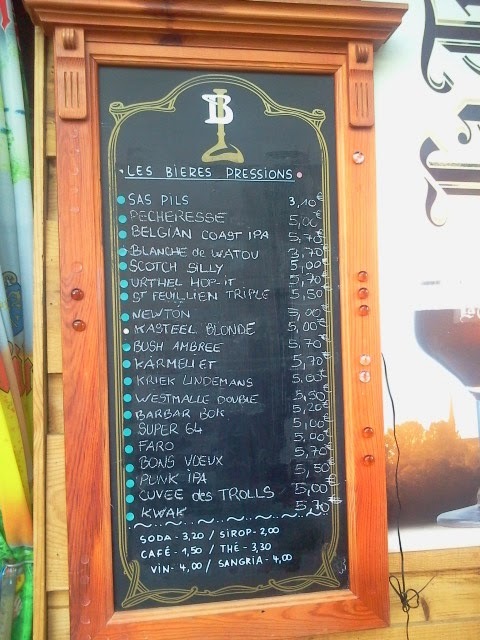 I looked over the draft list on the wall and saw a fairly good smattering of some delicious but more common Belgian beers. 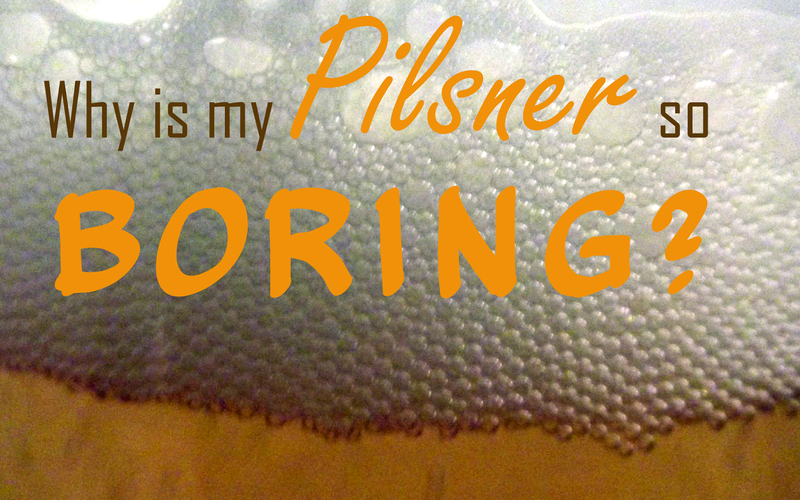 I also realized that their website's beer list and prices hadn't been updated in quite a long time. Most of the drafts now cost about 5.70 Euro compared to selling them for mostly under 5 before. I was intrigued by one of the drafts at the top of the board which was listed as the Belgian Coast IPA, which I later found out was actually a collaboration by Green Flash and St. Feuillien. My lady requested a draft of the Karmeliet Tripel, but unfortunately it was out. She went with the recommendation of the bartender which was the St. Feuillien Tripel instead. Our beers showed up after a couple of minutes as a world cup match between England and Uruguay started and a few more people showed up at the bar. The set up consisted of a small open front and side area off of a moderately sized square room with a pool table in the middle and the bar against the wall. The view from the front looked out toward the ocean which was a several minute walk from where we sat. A pleasant breeze came up the hill. Occasionally cars or a moped whizzed by quite noisily which disrupted the relaxed atmosphere. I finished up my beer, and decided I'd move on to the Urthel Hop It. I was pretty disappointed when the bartender told me that this beer was also out. 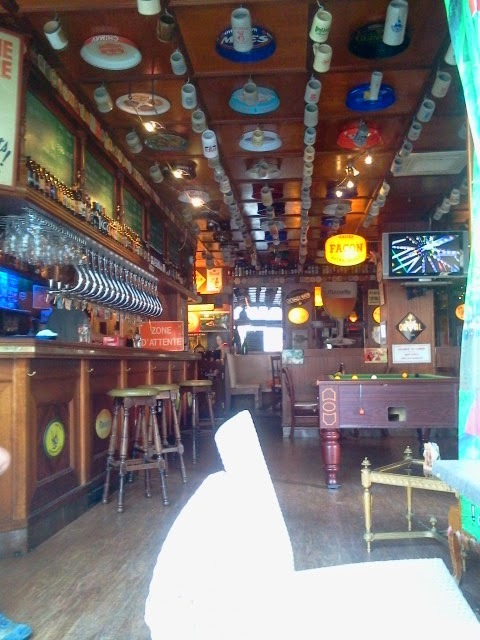 I tried talking to the bartender, but her English was kind of poor, and I speak no French, so it was hard to get much information about the different beers available. The bartender I had spoken to before whose English was quite good was outside smoking and didn't appear to be coming back soon, so we did our best to communicate. She figured the best way to facilitate my decision was by giving me a few pours of various beers (it was), which I was extremely happy to receive. I decided to have a Kwak which I'd had samples of in the past but never a full glass. I settled my bill, left a tip and brought my beer back to the table to enjoy. As the evening and my beer wore on a few more people strolled in, but it never became full. Even the next day when we wandered by on our way back to the apartment, while France was playing a match, the bar wasn't too crowded. I'd guess during July and August it could fill up pretty quickly but otherwise it would be a pretty laid back place to have a few beers. I found it odd that they didn't erase beers from the chalkboard once they weren't available, since this is a fairly simple and common practice at most bars with a large tap list. 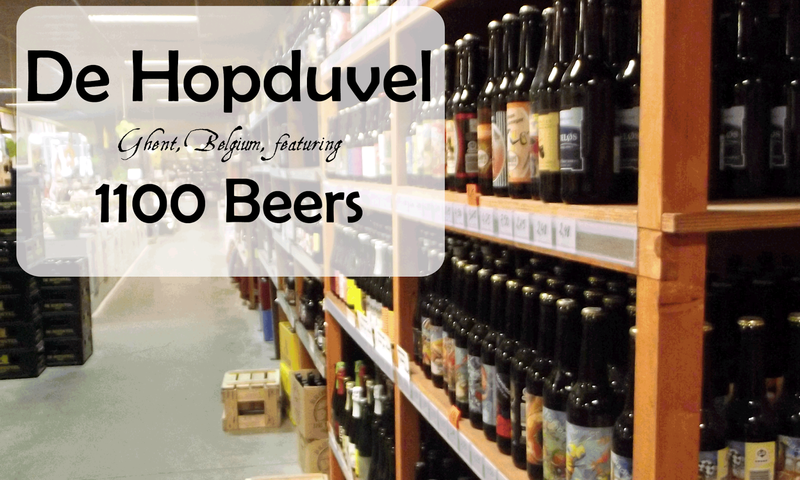 There were a few good finds on the list mixed in with plenty of the more common delicious classic Belgian beers. The service was quick and pleasant, and I always like a bar that is willing to give me a few sample pours without having to be prompted by me asking. 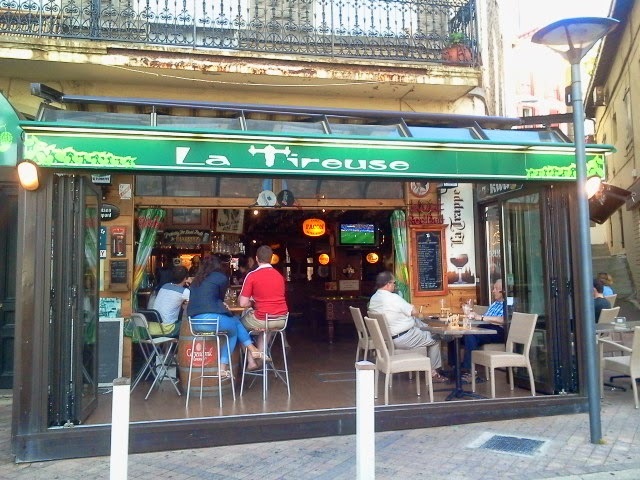 This obviously isn't a bar that you would travel out of your way for, but if you happen to be in Biarritz, France, tired of wine and want a beer then certainly stop in for a draft and relax for awhile.